With Free Screen Protector and Stylus Pen, US Seller!! Free Screen Protector + Pen! Free Shipping! US Seller!! FITS LENOVO THINKPAD TABLET 2. Soft Leather Smart Cover Wallet Folio Case with Sleep Wake For Apple iPad Air 2. Soft Leather Smart Cover Wallet Folio Case with Sleep Wake For Apple. 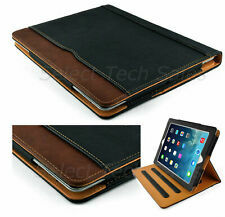 Select Tech iPad Leather Wallet Smart/Wake Folio Case. Let's Get on the Party Ride. Slim case follows iPad Air's sleek lines and highlights Apple's design. Device Compatibility : iPad Air. The thinnest, lightest all-protective case available for iPad Air. Show Mode Charging Dock for Fire HD 8 (Compatible with 7th and 8th Generation ..
Show Mode Charging Dock for Fire HD 8 (Compatible with 7th and 8th Generation Tablets – 2017 and 2018 Releases). Includes a shell, adjustable stand, power adapter, and USB cable. Show Mode Charging Dock is compatible with 7th and 8th generation (2017 and 2018 releases) Fire HD 8 tablets, and will not work with 6th generation tablets or prior. Protect Your Investment with the OtterBox Defender! Galaxy Tab A 10.1 Case, POETIC Revolution Series Premium Rugged[Shock Absorption & Dust Resistant] Protection Hybrid KickStand Case w/ Built-In Screen Protector for Samsung Galaxy Tab A 10.1 Black. Made of premium polycarbonate and TPU materials. ZAGG folio for Apple iPad mini 2/3. Its unique hinge secures your tablet at virtually any viewing angle and allows for a convenient video and book mode, or folds flat for a protective case mode. Feature: Mini, Keyboard Case.